We are on the southwest side of Awaji Island. 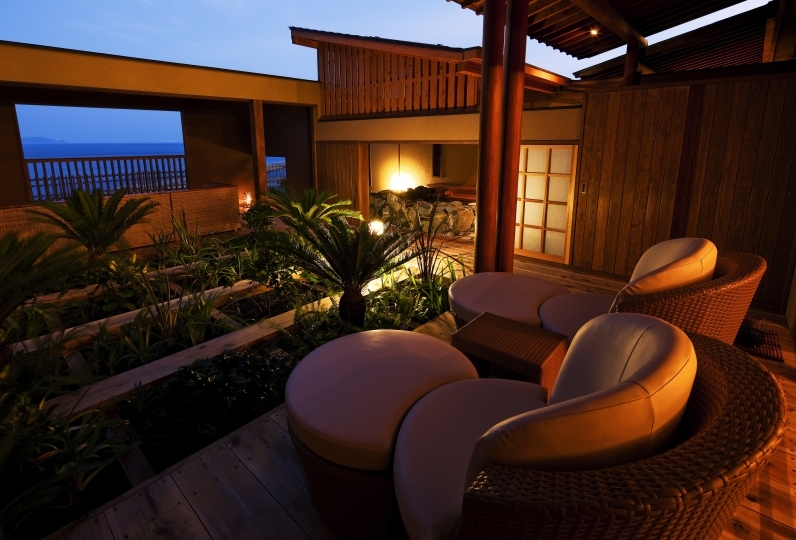 Welcome to Hotel Anaga, a resort hotel where the sun shines brightly year round and the calm and quiet nature surrounds us. Your warm and inviting guest room will make you forget all of your worries and feels just like a second home. 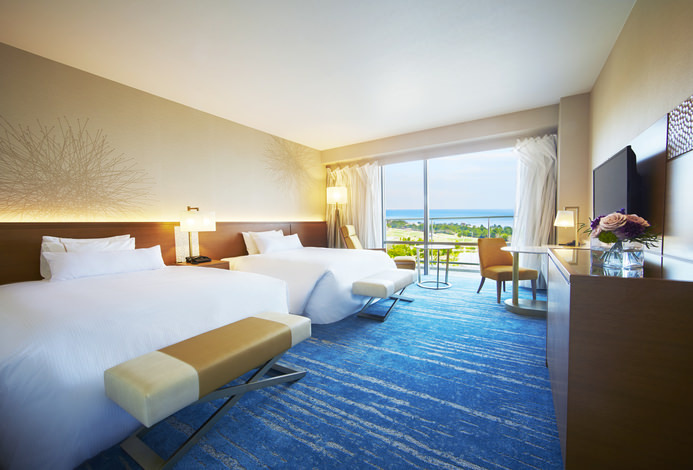 The gentle sound of waves will rock you to sleep in the spacious bed. 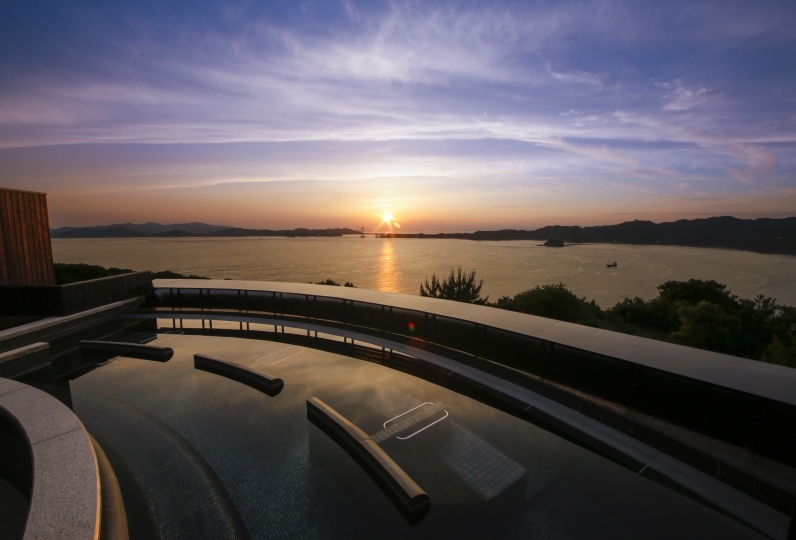 Awaji Island is renowned for its cuisine and the rich flavors of our land and ocean will touch your soul. 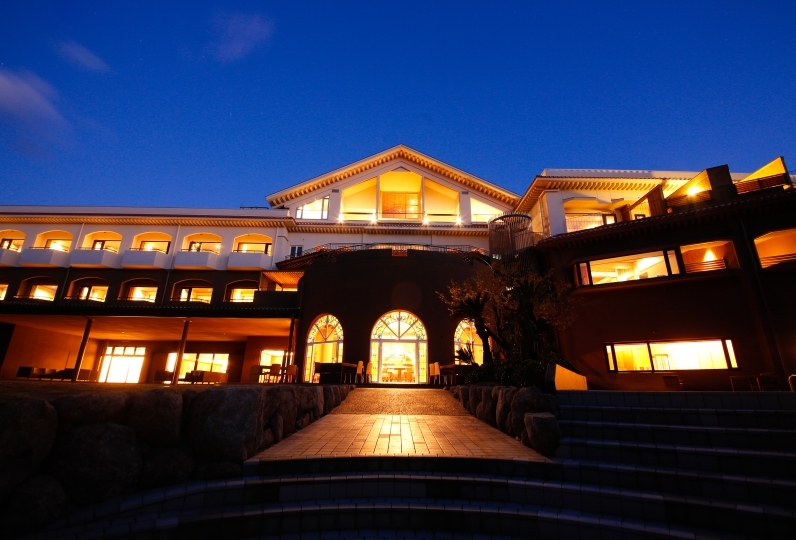 Come and enjoy seasonal offerings and omotenashi hospitality of our island "auberge". Take a walk to the ocean or to the mountains, whichever suits your mood, and experience the natural beauty of our island firsthand. Whether it be a walk in the morning, in the early afternoon, or to view the beautiful sunset, you are sure to find an unforgettable spot just for you. You can go on an adventure, such as a private cruise, or you can spend your day just idly letting the island time slip by. Either way our hope is that you are able to truly relax your body and soul during your stay. 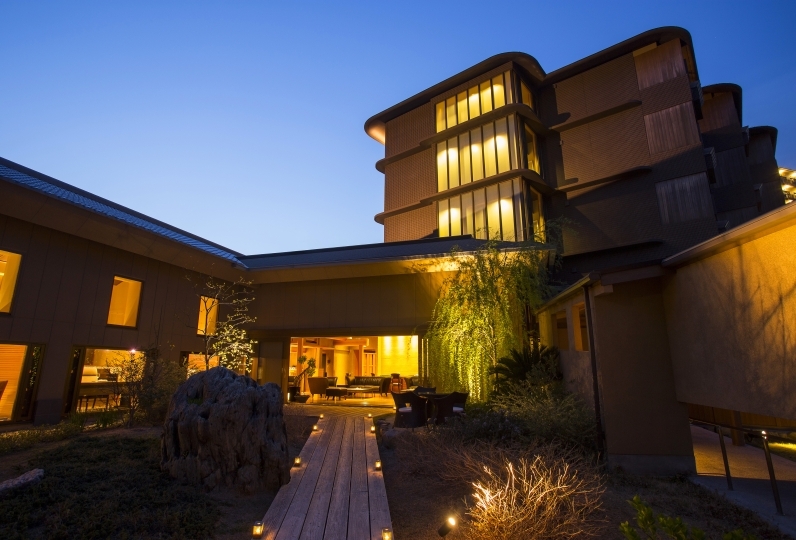 Envelop yourself in the abundant nature of Awaji Island and restore your inner self. We hope that the island time you spend here will become an unforgettable experience. Overall, it was a wonderful stay. It was a pity that we could see this from a guest on the balcony next door. But I want to go there again. French and wine were also very delicious. There is no way that there is no public bath. I think it was very good to be taken care of this time. The view from the room was good and the cleaning was perfect. Dinner and breakfast the next day were both French and Western, but both taste and volume were just right, especially the dinner appetizers and breakfast poached eggs such as egg dishes were excellent. The staff's response was also quite pleasant. It is a very calm and refined hotel. I would like to visit again. I stayed at Doggie Villa. 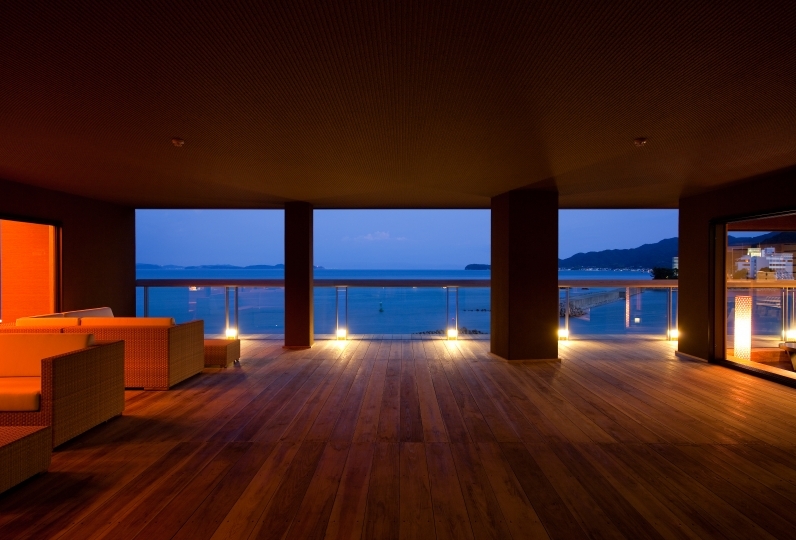 In a quiet place, the view was good with ocean view, and the starry sky was also very beautiful. All the staff were very nice, and we were able to carefully explain the nearby facilities. The smile was also great. The spacious dog run was also fun to play. It was a fun trip on Hatsu Awaji Island. I want to go again. Beginning in 1905 as a simple clinic overlooking Lake Geneva in Switzerland, the Valmont Clinic is now a world leader in the field of medicine for introducing DNA technology into its skin care treatment. With products incorporating their own naturally cultivated plant extracts and other pure ingredients, and their own unique treatment philosophy, they appeal to celebrities and royal families around the world. Since July 1st of 2018, check-out time has been changed. A request to our guests who are staying with their pet dogs in our Doggie Villa. Guests must be accompanied by their pet dog(s) to stay in the Doggie Villa. Only dogs are allowed and must be less than 15kg in size. Your pet must have been vaccinated for viruses, contagious diseases, and rabies within the past year. Additionally a maximum of two dogs that meet our requirements may stay with you. Prior to your stay we will fax you a terms of service and agreement form for you to sign and return. ・Tokushima Awaodori Airport is about 80 minutes from Haneda Airport, 75 minutes from Fukuoka. From Tokushima Awaodori Airport it is about 35 minutes by car via Onaruto Bridge. ※For pick-up and drop-off service from Tokushima Awaodori Airport to the hotel, please contact us in advance.